It is Valentine! 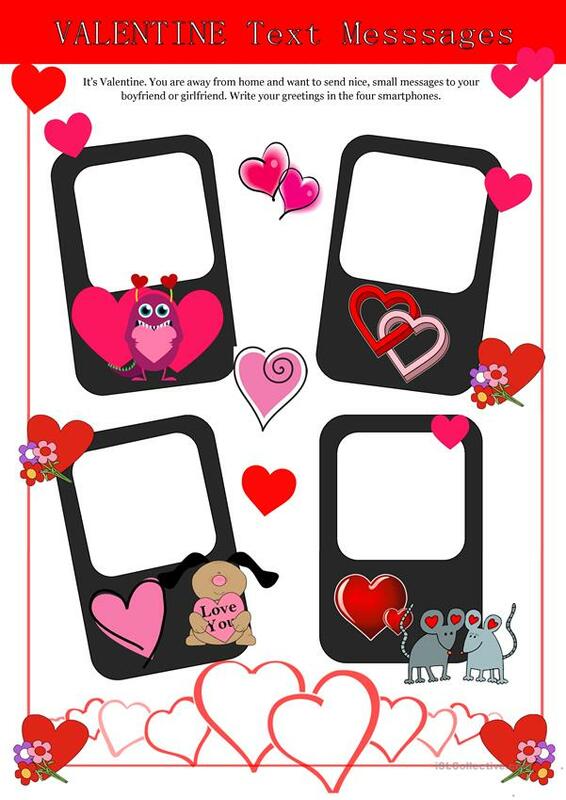 Let your students write sweet messages to their boyfriends or girlfriends. There are four smart phones to be filled in. Have a nice day at school. The present downloadable teaching material is intended for high school students, elementary school students, kindergartners and nursery school students, adults and students with special educational needs, learning difficulties, e.g. dyslexia at Beginner (pre-A1), Elementary (A1), Pre-intermediate (A2), Intermediate (B1) and Upper-intermediate (B2) level. It was designed for developing your students' Spelling, Reading and Writing skills. It centers around the vocabulary topic of Valentine's Day.